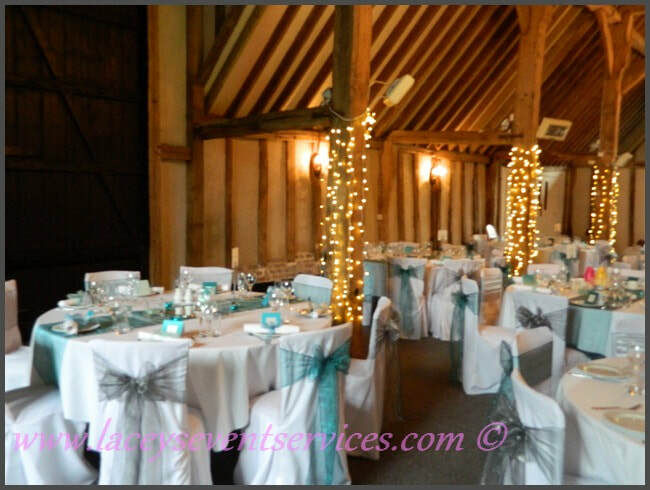 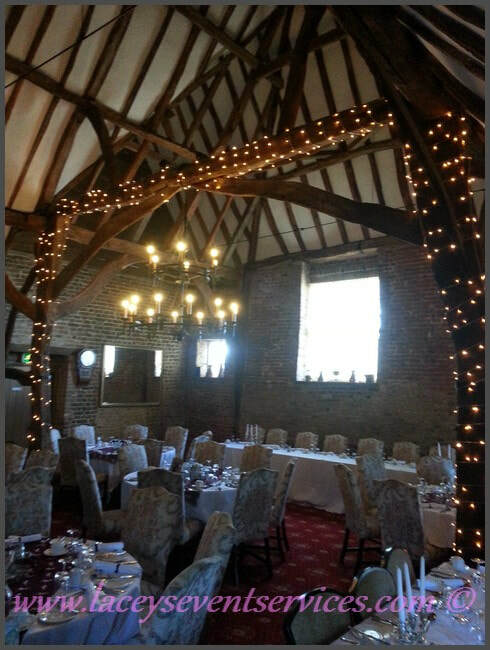 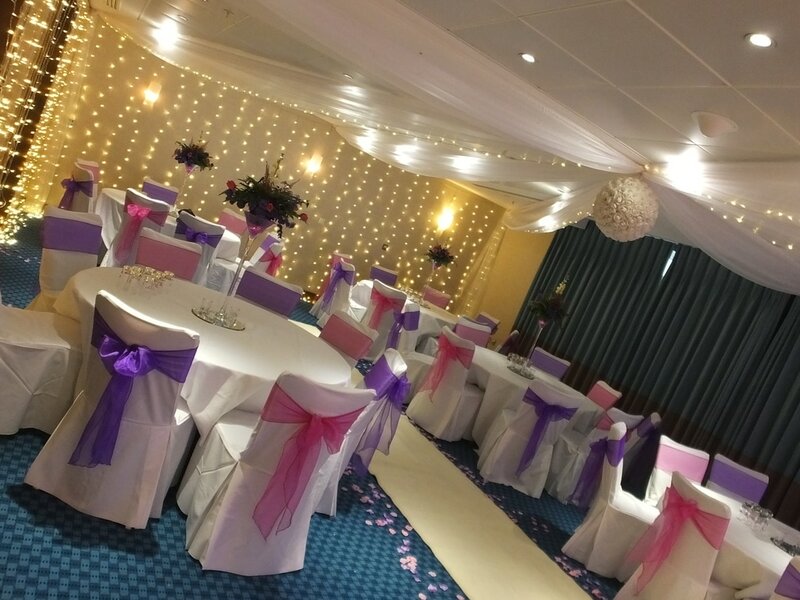 Fairy lights are an excellent way of creating accent lighting and mood lighting in your venue. They give a warm and romantic feel at the same time as decorating pillars, beams, ceilings, railings, banisters, stairwells and Trees. 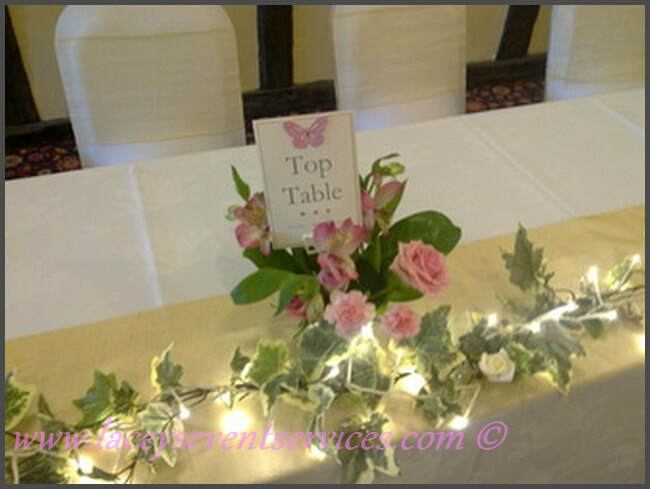 Wonderful for decorating Table Swags, table Displays and anywhere you struggle with electric sockets! Our electrical fairylights are great for decorating pillars, columns, ceilings and highlighting specific areas of interest! 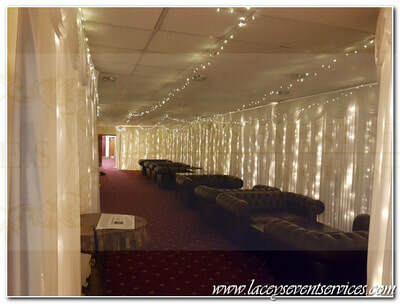 so we can light all the walls in any size room with no gaps! 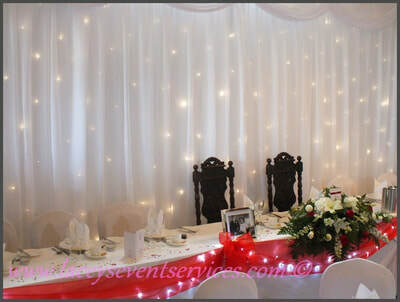 Ice White Fairylights and Warm white Fairylights are available to hire!